This is a resin kit to convert the old AMT kit into a more accurate Galileo shuttlecraft. Kit Description: Galileo Shuttlecraft Conversion Parts model kit. This kit is to give you more accurate finish to your AMT/Ertl Galileo Shuttlecraft kit. Mastered by Chris Larson and was Produced and distributed by LARSON DESIGNS/LUNAR MODELS. This is a resin kit and requires more advanced modeling skills. 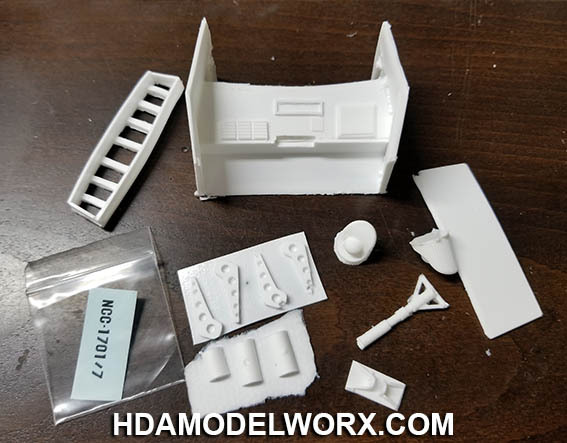 Resin parts will require minor cleanup and will require some modification of the original plastic kit parts for installation.